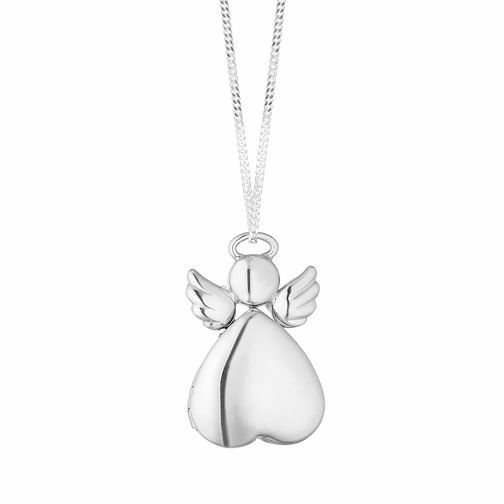 Symbolising peace and serenity, this silver design brings together an ornate chain with a smooth and elegant angel locket. Turn it upside down and it transforms into a beautiful heart. This locket is an opulent way to keep your favourite mementos close to you.